A big thank you to the Lafayette Community Foundation, who awarded us a $2,000 grant to put in our ADA parking space! 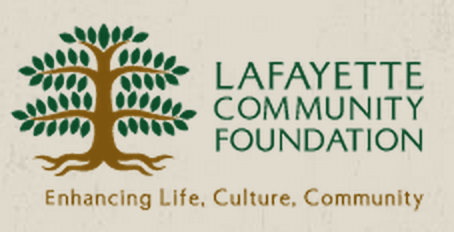 The Lafayette Community Foundation is a group of Lafayette citizens who seek to preserve and enhance the quality of life in the beautiful City of Lafayette. Board members represent multiple generations and come from many walks of life, but their mutual love of Lafayette brought them together.